A mere generation ago, consumers were clipping coupons and walking around the grocery store with calculator in hand. While these techniques are still effective, tech-savvy consumers are looking for ways to enhance their shopping experience. Technology has crept into almost every area of life, including shopping. Its presence has allowed stores to reach consumers more effectively and efficiently than older methods. Smartphone shopping applications allow consumers to stay on top of sales, multitask and stay within the family budget. 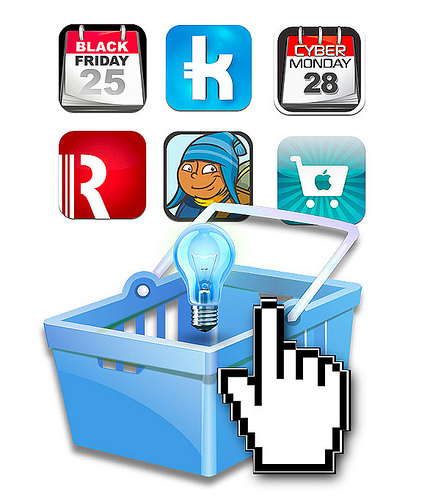 The following apps are just a few of the many shopping apps available to consumers. RedLaser. Find the best deal on just about everything a consumer can buy with RedLaser. This free app turns a mobile device into a personal barcode scanner. By scanning an item, the consumer can find out where to find it at its least expensive price. RedLaser can also be used at home to add items to a grocery shopping list when the consumer scans a bar code for a needed item, like a nearly empty container of orange juice. Coupon Sherpa. Using coupons from the newspaper and direct mail advertisements is still a great way to save money. Coupon Sherpa adds to a shopper’s ability to save more. 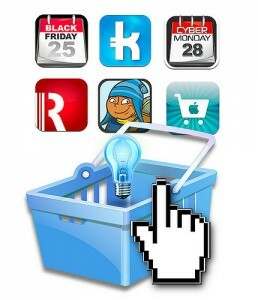 This handy app collects consumer information on favorite stores and items and searches the Internet for useful coupons. The consumer can use this app to find coupons for just about every shopping need and can even share deals with friends. Groupon. Groupon expands the shopper’s ability to find the best deals on just about everything, from home decor to movie tickets. 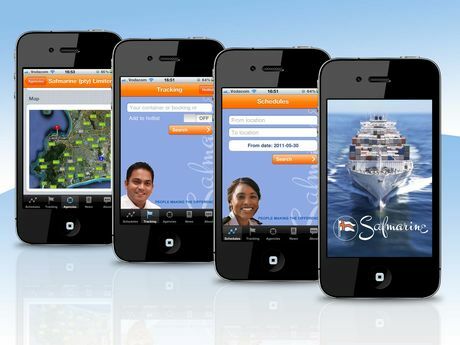 This app works in conjunction with the Groupon website and personalizes the user’s experience according to location. ShopShop. With ShopShop, making a grocery list is simple and fun. As it’s used repeatedly, it stores a list of previously entered items. When the consumer creates a new list, he can simply tap on the items that pop up while typing them in, helping cut down the time needed to create a list. Grocery Gadget. Shoppers that yearn to be ultra-efficient can achieve their goal with the Grocery Gadget app. This app allows the user to set up different stores so lists can be created for each store. If the help of a spouse or partner is needed in picking up a few items, Grocery Gadget allows users to easily share their lists. Although users can create their own custom lists, pre-made list items are available to get the consumer started. Epicurious. The Epicurious app shortens the workload and time spent on looking up recipes and making lists. Users of this efficient app can search for recipes as they plan the week’s meals, then import needed ingredients to their shopping list. This multitasking app also allows users to email favorite recipes and create a collection of saved recipes. The shopping app that’s right for each consumer is a matter of personal preference. Many apps can help with multitasking , savings or organization. And because many apps are free, it’s easy to try them and decide which ones are best. Those that cost a few dollars are often worth it, but even they sometimes come with a free version that offers fewer bells and whistles. A good selection of helpful apps can assist the consumer in spending less time on shopping, which means more time to enjoy with the family. In this busy world, free time is a hot commodity; a more streamlined and effective shopping strategy can provide busy families with time they can spend doing the things they like.